Joseph Chamberlian, British politician and businessman at his desk in the Colonial Office. Wikicommons/Harry Whates. Some rights reserved. Today the values which liberalism holds dear are under the deepest threat. Open markets, tolerance of cultural differences, multi-national trading and security arrangements, to say nothing of Enlightenment values such as the importance of facts, truth and expertise. All are assailed by the threat of trade wars, Brexit, resurgent nationalism and growing hostility to cultural plurality. The source of these threats to liberalism is a fragmentation of what Gramsci would have called the ‘historic bloc’ of political, cultural and class alliances that operationalise the political economy of capitalism in any given era. With this bloc fragmenting, a right-wing conservatism has broken away from the conservative-liberal consensus which has dominated politics in Europe, the UK and the US since the 1990s. But rather than an honest assessment of its own complicity in the current crisis, liberalism risks doubling down on its commitment to an economic model that generates illiberalism. We can learn a lot about liberalism by looking at its historical development in order to understand where it is today and the possibilities and indeed the necessity in trying to pull liberalism to the left. For liberalism itself, the ability to learn from its own historical experiences, is a first priority if tragedy or farce is to be avoided. Liberalism pretty well began life as the political culture of economic liberalism in the late eighteenth century. Richard Arkwright and his partners and commercial backers developed the water-powered cotton spinning mills that massively enhanced productivity around the same time that Adam Smith was writing The Wealth of Nations (1776). The market, capital, technology, science, progress, rationality – all this seemed to knit seamlessly together in the language of liberalism. Its main antagonist was the state, the power base of conservatism, with its corrupt patronage networks and hereditary wealth. In The Principles of Political Economy and Taxation (1819) Ricardo could acknowledge that when the market price for labour falls beneath the value it needs in wages to survive, great hardship ensues. Yet human misery could not trump the rational laws of the market. ‘Like all other contracts’ he wrote, ‘wages should be left to the fair and free competition of the market and should never be controlled by the interference of the legislature.’ Ricardo recommended that what the poor needed was to learn the values of ‘independence’ and ‘prudence’. This brutal indifference to economic violence meant that there could be no substantive alliance between the working class and liberalism. As late as the 1840s progressive reform and the market seemed to liberalism to be naturally allied. At this time the cotton mill owners were advocating for the demise of the tariffs on foreign corn that protected landowners but pushed up the wages industrialists had to pay to their workers. The Chartist press was unimpressed by appeals from the liberals to join forces with them. The Northern Star called Richard Cobden and John Bright, who had set up the Anti-Corn Law League on behalf of the Manchester Chamber of Commerce, ‘cheap-bread brawlers and cheap-labour seekers’. Liberalism risks doubling down on its commitment to an economic model that generates illiberalism. Yet ‘cheap labour’ was not necessarily hard-wired into classical liberalism. Adam Smith appreciated that workers had a rather significant part to play in the production of wealth, and this left open a philosophical bridge between liberalism and the growing labour movement of the late nineteenth century, with the idea that labour’s contribution should be ‘fairly’ rewarded (not something that today’s Adam Smith Institute is likely to recommend). By the last quarter of that century, in both philosophy and practice, liberalism was parting company with its origins in economic liberalism. 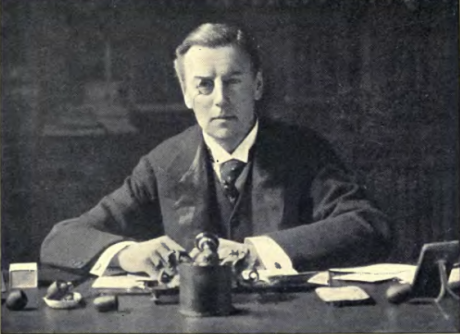 As Mayor of Birmingham, Joseph Chamberlain, former manufacturer and now a key figure in the Liberal Party, nationalised gas and water. The state was gradually being rehabilitated in Liberal thought as the essential guarantor of the common good and universal services. Liberalism had learned that the social reforms it desired did not spring from the market. The liberal philosopher T.H. Green (1836-1882) distinguished between negative freedom and positive freedom. The former meant freedom from constraint (e.g. from the state) but positive freedom he defined as ‘the liberation of the powers of all men equally for contributions to the common good.’ The market was no longer seen as able to secure this positive freedom on its own. While liberalism did not abandon its investment in the individual’s moral autonomy, this was now combined with a more realistic assessment of the social conditions that made moral autonomy feasible. Gradually other liberal philosophers such as L.T. Hobhouse (1864-1929) rehabilitated the role of the state in liberal thinking and political practice. The late-nineteenth century and early decades of the twentieth century was a period when liberalism had the courage to recognise that some of its previously most cherished values and assumptions were inadequate, that means and desired social ends, did not connect up. Liberalism discovered that the capitalist market in labour power and goods was in many ways, profoundly irrational and dangerous to collective wellbeing. Liberalism discovered that the capitalist market in labour power and goods was in many ways, profoundly irrational and dangerous to collective wellbeing. Where is that capacity today to reflect on historical experiences and change course? Where is the political imagination to do more than tinker with economic liberalism? In the wake of Brexit, merely blaming its conservative and leftist antagonists for the current crisis, as in the decrying of ‘populism’, falls well short of the critical introspection and change liberalism needs. Ten years after the crash, the political economy of capitalism demonstrates daily that it cannot meet the needs of the majority. Liberalism has still to understand the basic lesson that cultural plurality and tolerance cannot be sustained when ontological material security for the majority is absent. Nor does it seem to notice that across the conservative-liberal spectrum, there is a willingness on the part of political leaders to stoke fears of migration at home and espouse the merits of war abroad, neither of which are particularly good for ‘tolerance’. Liberalism is not however fixed in stone, as its own previous oscillation away from economic liberalism shows. Nor is it even fixed in a right-wing paternalistic (Fabian) version which renders people passive recipients of social reform from above. The liberal philosopher J.A. Hobson, whose 1902 book Imperialism, A Study was influential on Lenin, broadly welcomed the industrial working class turning economic muscle into political power. Hobson ended up in the Independent Labour Party as part of a wider shift amongst the British middle class in the 1930s. It would be helpful if we could have a similar sea-change again. But if the left are to exert pressure on liberalism to that end, it must first critically interrogate the extent to which a liberalism badly deformed by economic liberalism has actually been internalised by the left. Take for example the question of the EU. Large swathes of people who think of themselves as on the left do not seem to have a political analysis of their object of desire (it really is an undemocratic neo-liberal organisation), the tactical nous to understand what a vote to overturn the result of the 2016 Referendum is aimed to do (sunder a section of the working class from the Labour Party and give the ‘centre’ a way back) or the prioritisation of the key strategic goal (redistribution of wealth, irrespective of our future relationship with the EU). It seems that the fate of the left and liberalism are tied together and that the reconstruction of the latter is part of making the former a more robust challenger to the status quo.